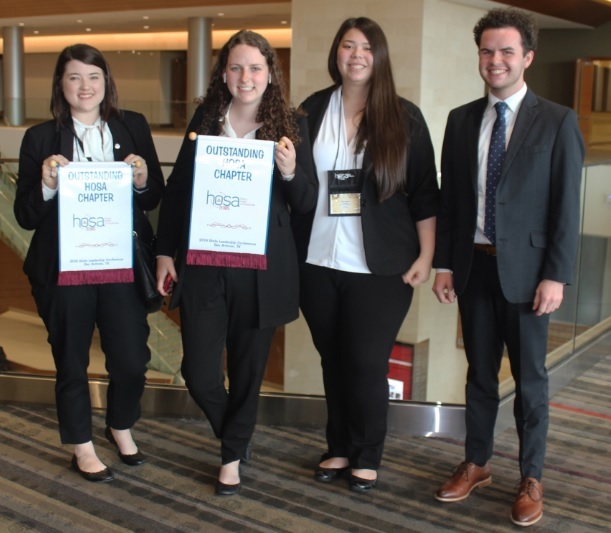 The Mount Pleasant High School chapter of HOSA: Future Health Professionals competed at the HOSA State Conference on March 28-30. The conference was held in San Antonio at the Henry B. Gonzalez Convention Center. 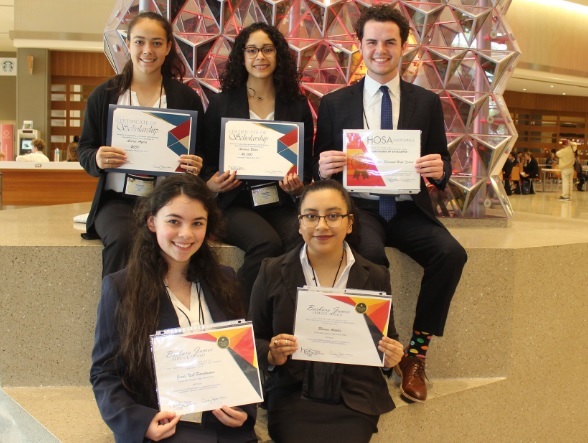 Four Mount Pleasant High School students advanced to Nationals, and two others earned scholarships, while two more received awards for their community service. In Outstanding HOSA Chapter, Alyssa Reynolds and Grace Whitten will represent MPHS at the National competition. Abby Mason advanced in Health Care Issues exam, and Matthew Armstrong advanced in HOSA Happenings.